In New Jersey, when a driver drives while intoxicated, there is the potential for an arrest and charges that can include jail time, fines, surcharges, a driver’s license suspension and other penalties. It doesn’t just apply to driving a motor vehicle. It could also occur if the driver is operating a boat under the influence. When a driver commits a DWI however, there can be far worse consequences than simply being arrested and charged for the traffic offense. If there is an accident while the driver is drunk and a person or persons are killed, the charges won’t simply be for DWI. There will be DWI manslaughter or DWI homicide charges. If there is a conviction for these charges, the driver will have to go to jail and pay substantial fines. When a driver is investigated for a DWI, the officer must have a justifiable reason to make a stop. The reasons can include driving erratically and breaking traffic laws. When the officer investigates, there are certain signals that will indicate drunkenness or being under the influence of drugs. Bloodshot eyes, slurred words and the smell of alcohol are some of these signs. The officer will then administer field sobriety tests such as the Horizontal Gaze Nystagmus, Walk-and-Turn and the One-Leg Stand test. After that, a breathalyzer test is given to determine the blood alcohol content. In order for a driver to be arrested for DWI, the BAC must be between 0.08% and less than 0.10%. The penalties the driver will face are contingent on the number of times he or she has been arrested for the traffic violation and what the BAC is. Higher levels of BAC and repeated offenses will lead to harsher penalties. 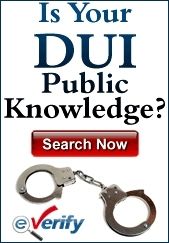 When convicted of DWI, the driver will receive a driver’s license suspension of three months. There will be a fine of between $250 and $400. $230 will be paid to the Intoxicated Driver Resource Center (IDRC). $100 each will be paid to the drunk driving fund and the Alcohol Education and Rehabilitation Fund (AERF). $75 will go to the Neighborhood Services Fund. There will be a surcharge of $1,000 per year for three years. If there is an accident while a driver is drunk and a person is killed, the BAC to warrant an arrest is the same as when it is a simple DWI stop. 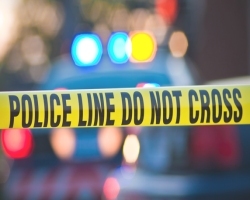 When a person is killed due to a driver operating the vehicle recklessly without concern for human life, there is the possibility of a charge of vehicular homicide or vehicular manslaughter. It doesn’t necessarily have to be another driver. It could be a passenger or a pedestrian as well. Whenever any person is killed while a driver was drunk, there is a significant chance that there will be charges for vehicular homicide or manslaughter filed especially if the victim is a child passenger. If there is proof that a driver was drunk and a person was killed in an accident, that would be sufficient for a jury to come back with a finding of guilty. The BAC levels registered when the breathalyzer test is given is usually considered sufficient evidence. However, the breathalyzer results can be called into question if the officer didn’t wait the required 20 minutes of observation time before administering the test, if the officer was not certified to give the test or if the machine was not properly calibrated. Drivers need to understand the difference between being charged with DWI and being confronted with vehicular homicide or vehicular manslaughter. While the penalties for a DWI conviction can be cumbersome and expensive, the infraction is still just a traffic offense. With a vehicular manslaughter or homicide, the act is taken far more seriously with commensurate punishments. If a person who was drunk crashed and caused the death of another person, it is likely that there will be a charge of felony vehicular manslaughter. It is usually a first degree crime. A conviction of vehicular manslaughter can send the driver to jail for between ten and twenty years. There could be a fine for as much as $200,000. In New Jersey, drivers are required to serve at least one-third of the sentence they are given or three years – whichever is higher.